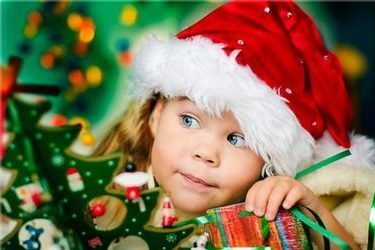 Christmas lives most vibrantly in the hearts of children. Student clubs at SCCC/ATS will welcome children to campus during the coming weeks for holiday celebrations. Saints Promoting Education Careers (SPEC), will host �? ?Tis the Season for Reading.�?� The evening of holiday stories, crafts, hot chocolate, and cookies will start at 6 p.m. Friday in the upstair room 229C at the Student Union on campus. Each child will take home a free book, a lasting gift to remember a festive evening. The event is designed for children ages kindergarten through third grade. Unfortunately, as of 10:30 a.m. Wednesday, the cap of 50 participants has been reached through reservations. Phi Theta Kappa, the college honor society and service club, will once again host a holiday gathering for the unmatched �? ?littles�?� affiliated with Big Brothers and Big Sisters. Sponsor Debbie Stafford has collected a list of names and ages for the children who have yet to be matched with Big Brothers or Big Sisters. PTK members are available to help pick up gift donations from the community. The PTK/BBBS Holiday Party is scheduled for 2 to 5 p.m. Dec. 13, on campus. Stafford said the party leaves her, and her club members, with the gift of warm memories. �? ?One year, we had collected books throughout the semester, and at the holiday party, we allowed the children to choose the books they wanted. Almost every child went home with a box overflowing with books. They were more thrilled with the books, new and gently used, than the actual gifts,�?� she said. To contribute to to PTK�? ?s community service project, contact Debbie Stafford at 620-417-1455.